← Friday Five – March 27th – Florida, Here We Come! Greetings from sunny Florida! Just logging on for a few minutes to share with ya’ll some of what I’m celebrating today! 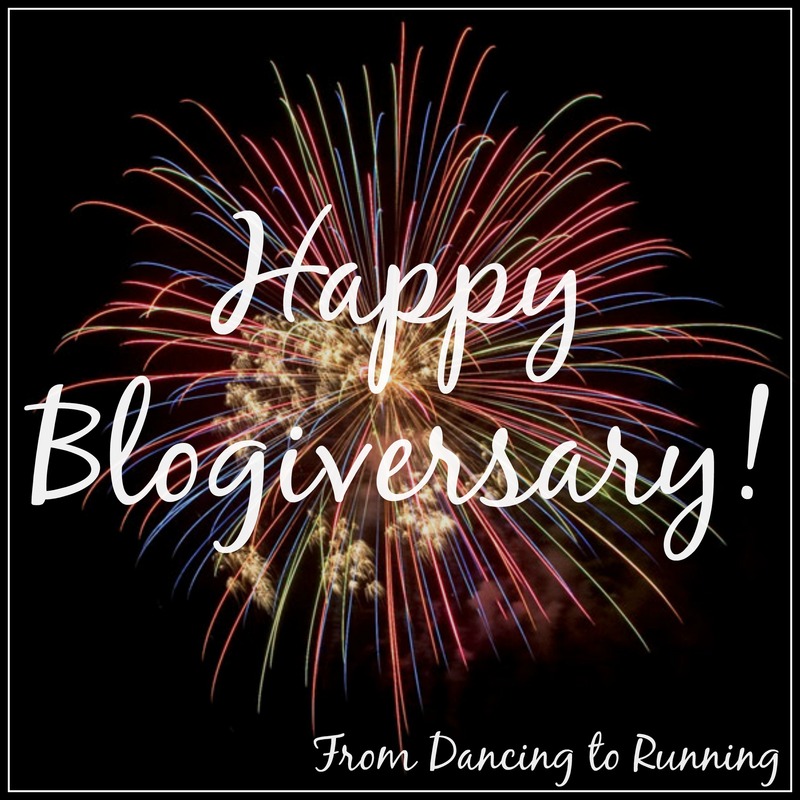 Yesterday marked From Dancing to Running’s second blogiversary! Its hard to believe that its already been two years since I started writing, and now I can’t imagine life without blogging being a part of it. My blog has grown leaps and bounds over the past year, and I am forever grateful for all of the loyal readers of this blog. Today is my birthday! Like I shared on Friday, when I first realized that my birthday fell over my school district’s Spring Break, I immediately turned to Preston and told him that I wanted to spend my birthday at the beach. And we’re doing just that! We aren’t able to get away every year during my Spring Break, but I’m so grateful that we were able to make this trip possible! I’m also celebrating being able to spend time away with my husband. Between house hunting, buying our first house, moving, my health issues, and the car accident, this past year has been quite stressful. This time away just the two of us has been exactly what we need to relax and spend time together. This entry was posted in Milestones, Miscellaneous and tagged birthday, blog, blogiversary. Bookmark the permalink. 44 Responses to Lots to Celebrate! Happy Birthday and Happy 2 Years to your blog! It has been great following you and having a new friend! Thanks Jenny! I love that blogging has allowed us to meet one another! I know I say it all the time – – but that time together :-)? That is the important stuff. Happy birthday!!! Hope you have a great one at the beach 🙂 perfect way to spend a birthday, in my eyes! I’m hoping to celebrate the birth of my first child this week! The due date was yesterday (Sunday), but still no signs of him/her coming any time soon. Happy birthday and blogiversary. Enjoy that wonderful vacation time in Florida! Time always seems to fly by, doesn’t it?!? Awwww so much to celebrate! Happy blogiversary and happy happy birthday!! I hope you have a wonderful trip! Congratulations on two years on your blog. Happy birthday Kathryn! Enjoy your time in Florida. Thanks Gabby! It sounds like we picked the right week to leave cold Virginia. Happy birthday! I hope you enjoy the trip too! I had some health issues last year and was just so happy to move on and not worry anymore. Happy Birthday and Happy Blogiversary! 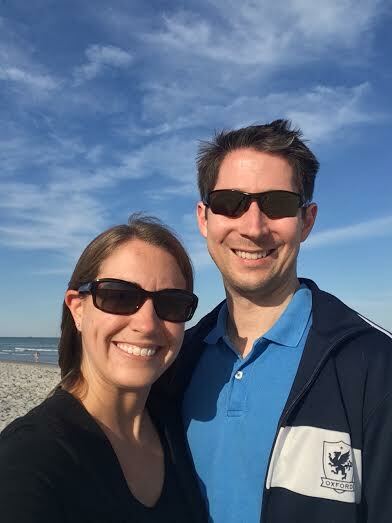 Hope you both enjoy the beach! Have a great vacation and a Happy Birthday! Happy Birthday and Bloggiversary!! Enjoy your vacation! Happy Birthday! Hope you are enjoying the beach and soaking up some rays! Oh how fun to be on a trip with your hubby, hope you guys have a great time! Happy Birthday, and Happy Blogiversary! Happy blogiversary and birthday! I hope you have a great time on your trip and enjoy the beach. It sounds like you’ve had quite a year so enjoy taking it easy!